and in honor of the new Chabad Center of Vernon Hills. 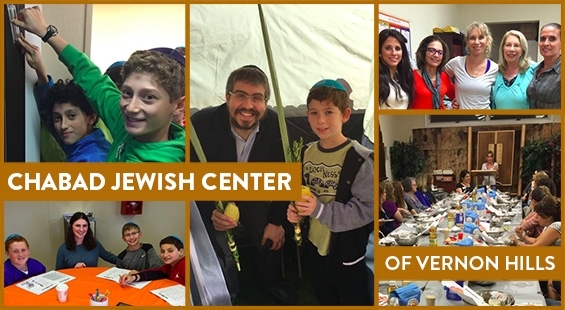 For the first time Chabad of Vernon Hills has been given a special opportunity. During this final month of the year, through December 31, two Chabad supporters will match your donation of any amount, up to $25,000! I am so grateful for this incredible opportunity, and I am hoping that you will open your heart to give or pledge, to actually help make it happen. All end of year campaign donations will help support Chabad for one reason. Because… Chabad cares. Chabad Cares is the theme of our end of year campaign. Chabad Cares. Do you agree? Each day, Chabad House strives to put the person, the people we meet – front and center. More than the beautiful and educational programs we do on a constant basis, it is the CARING for our fellow community member that is actually most important to us. Each day, we strive to put the person first. Because Chabad Cares. Can we meet the $25K Challenge? YES! We have full confidence, that together - WE CAN! Thank you in advance for your thoughtful and generous participation.